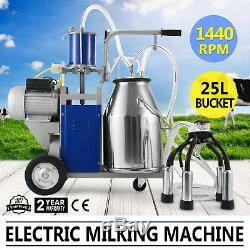 This Electric Milking Machine is used in milking for minitype breeder because of its simple structure, small auxiliary power and convenient operation and maintenance. 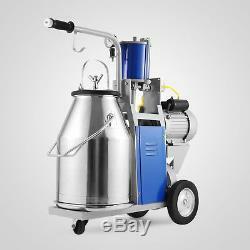 In order to sanitary standard, improve the milk quality of dairy cow and prevent the mastitis in dairy cow, the milker must master certain machinery common sense and know how to use the milking machine rightly. So it will be more helpful for the milker to read this instruction carefully. 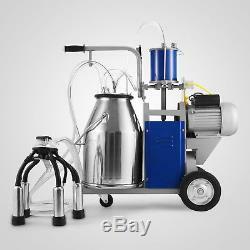 Usage of the milking machine. Check whether the electrical source voltage conforms to the requirement of the milking vehicle or not before operating the milking machine. 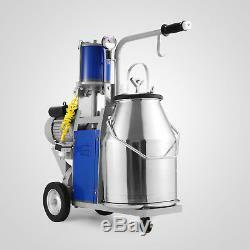 After operating milk machine, keep the empty running for 3-5 minutes. There is no block and abnormal noise among all the moving parts. Then convert the cluster, namely, all the connecting inlet of the claw is upward and the teat up inlet upward One minute later, the indicator of the cacuum gauge should rach 0.04-0.045MPa. Adjust the inlet value on the claw when the vacuum is too high or too low. Milking can start until the cooperation of long and short space between the steel ball and pressure reed reaches 0.04-0.45MPa. Swab and massage the teat by using the warm water before milking. Then milk the teat one by one by hand to spurt milk for 2-3 times. After affirming taht there is no mastitis, the teat cup can be installed to milk. As shown in pictuire 5 and pitcure 6. Before settin the teat cup, the milker should stand one side of the cow. The claw is held in palm by one hand. 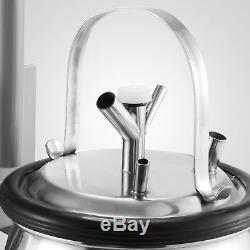 The stainless steel part of the claw is up and all the teat cuo inlets are downward. Then push up the sealing band seat below the claw to make the vacuum in the big milk tube center the claw and teat cup liner. 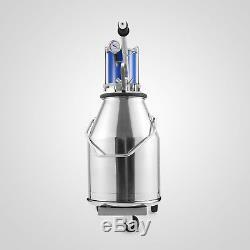 During the operation, the milk tube should be kept S-type to prevent the atmosphere from entering the teat cup. Milking should be carried out under the condition of stable vacuum, as is shown in picture 8. Meanwhile it is finished, use your hand to add more power on the claw and press it several times to make the milking be complete, as is shown in picture 9. Then hold the claw in the palm and pull down the sealing band seat to cut off the vacuum in the claw and in the teat cups. Accordingly the teat cups fall off automatically. As shown in picture 10. 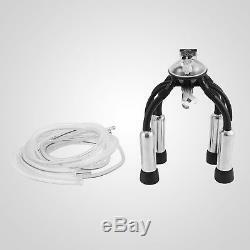 At last, use the sanitizer to sanitize the teat, as is shown in picture 11. Hand the cluster on the pothook of the machine when they are plunked, uncover the milk barrel cover, spill the milk in it and then continue to do the next milking. Cleaning and sanitizing of the milking machine. Cover the barrelhead in time when finishing milking. Use the clean water to wash the dirty off the cluster (seepicture12) and then put the clean cluster into another barrel with the hot water or sanitizer. Start milking machien to make it work and wash it more times. After the milking vehicle has been used for a week, the claw, milk barrel and the cluster should be all taken down and washed completely with the brush. Lube oil(30 gear oil, 0.4kg)should be exchanged after the reducer was uesd 750 hours. Every week, a certain of edible oil or20# gear oil is uesd to lubricate the plate between the piston in the piston pump and the pump shell. Pull out the skin tube in the piston pump and pour the il into it. Low noise, so as not to spook the livestock. Easy to use-comes with instructions. We carry a whole range of spare parts-everything you will ever need. 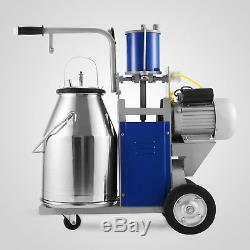 This cow milking machine has been mounted with the simple and easy piston pump for both operation andmaintenance. It could milk 1 cow at same time. Material of Bucket: 304 Stainless Steel. 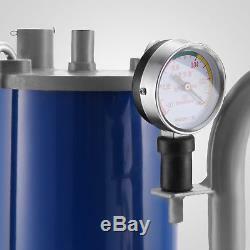 Operating Vacuum Degree: 0.04-0.05MPa (adjustable). Electric motor voltage: 110V or 220V. Employees needed When Milking: one. The Number of Milking Cup Group: one set. 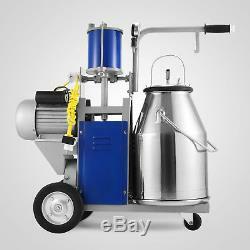 The Number of Stainless Steel Milk Bucket:one(capacity of 25kg). As a leading and emerging company in manufactory and exporting business, we are specialized in Business and Industrial Products, Sporting Goods, Pet Products, Home and Garden products for more than 10 years. 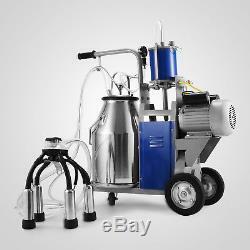 The item "New Milker Electric Piston Milking Machine For Cows Bucket Farm Stainless Steel" is in sale since Tuesday, June 19, 2018. 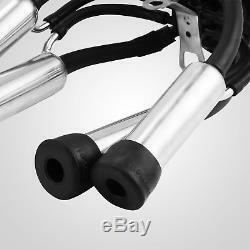 This item is in the category "Business & Industrial\Agriculture & Forestry\Livestock Supplies\Cattle - Dairy". The seller is "rumei-shopping" and is located in Ontario, California. This item can be shipped to United States, Canada, Germany.